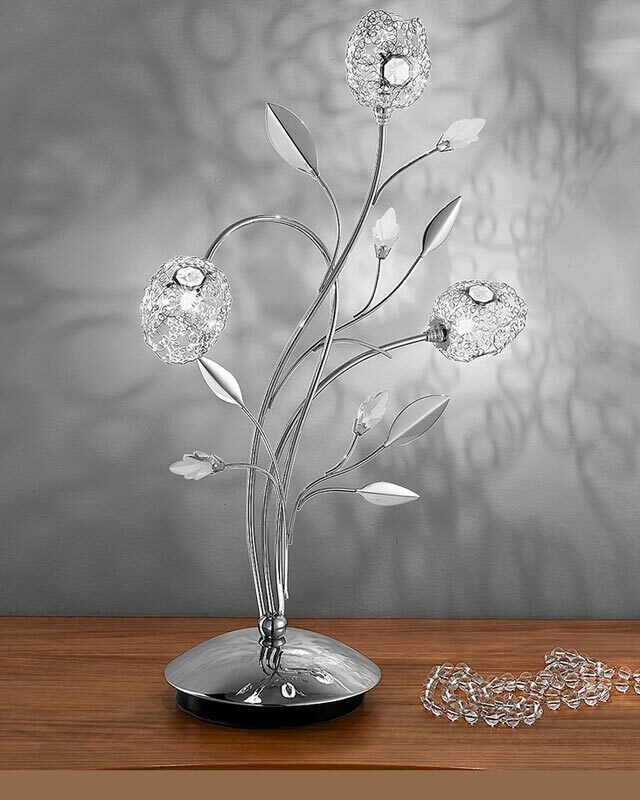 This Franklite Nebula 3 light dimmer table lamp in polished chrome with clear crystal glass buds is stylish and bright. 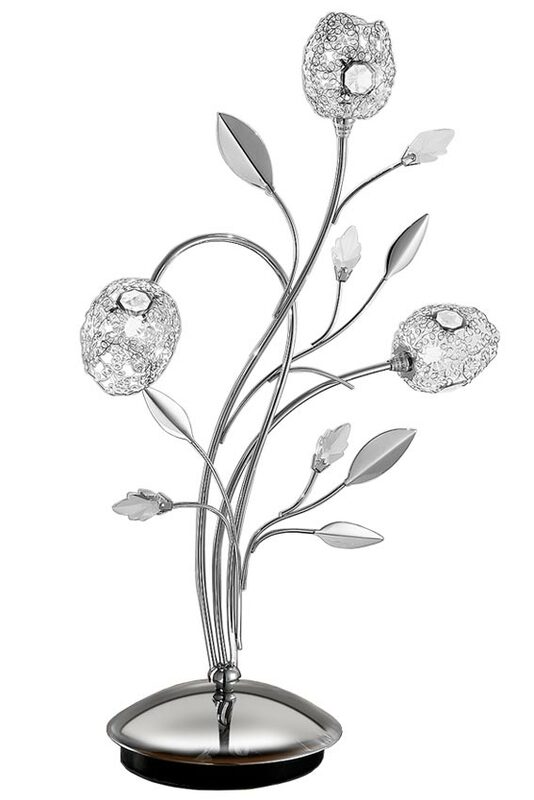 Circular base and three curving upright stems featuring chrome leaves and crystal buds, with chrome mesh floral pod shades inset with crystal discs that sparkle when lit. Perfect lighting for any living room, bedroom or dining room table. Fitted with an inline cable dimmer and supplied with low voltage lamps which are suitable for dimming. There are matching fittings in the Nebula polished chrome lighting collection that includes six and ten light semi flush ceiling fittings, a floor lamp and triple wall light, please see below. This stylish light is supplied by Franklite Lighting who have been one of the pioneers in the design, manufacture and distribution of high quality lighting such as the Nebula 3 light dimmer table lamp in polished chrome with clear crystal glass buds you see here.